A fantastic Supersport class debut at the final Dunlop Masters Superbike Championship event of 2018 has secured the seventh and last 'Young Racer of the Year' nomination for Michael Owens. Having started the season in Junior Cup the Ulster teenager has made tremendous progress culminating in his double podium winning Supersport 'Cup' debut at Mondello Park last Sunday, Sept 30th. 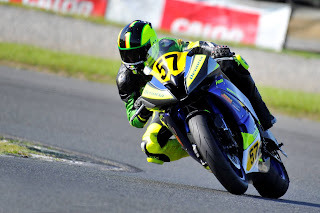 The Young Racer of the Year award is organised by Mondello Park and is open to any rider who is under twenty three and competing at the Masters. Following each event a panel of experts select one of the eligible riders to go forward to the end of year shoot-out where they have a chance to battle for the €10,000 prize provided by Mondello Park, Dawn International and EICL. Owens, from Tyrone, is a son of former 125cc and sidecar racer Phelim Owens and only began circuit racing this year. Previously he had raced Karts and was a Cadet champion before his thoughts turned towards Motorcycle Racing and a handful of minibike races in 2016. Following a year off last season Owens started 2018 on a Junior Cup machine but a decision was recently taken to get a Supersport bike in preparation for next season. 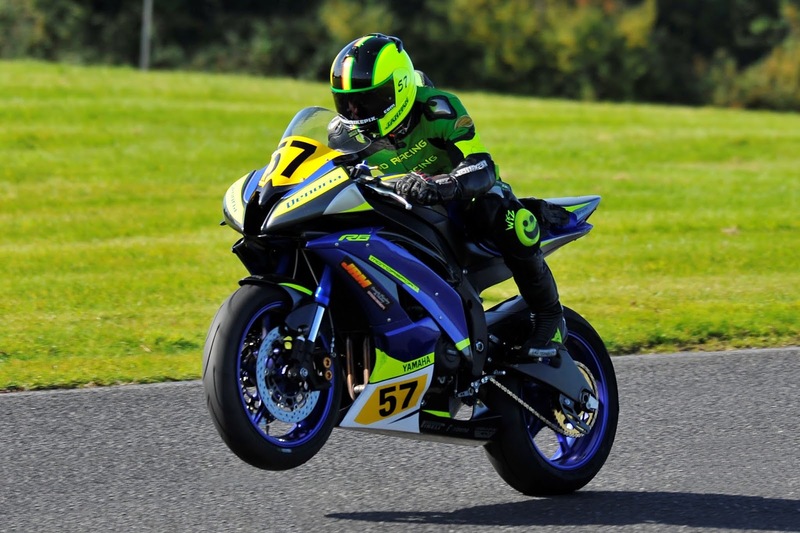 Michael's insistence on giving it a try before the end of 2018 led to his Masters debut at Mondello Park last weekend. A strong run in testing on Friday was not backed up in qualifying, leaving Michael just outside the 110% qualifying standard required to make the grid for the championship race. With the organisers allowed a little leeway for experienced riders who they feel could run stronger than they had in qualifying, Michael successfully argued for his inclusion on the grid where he would start from last for race one. An excellent run in the first race saw Michael knock over three seconds off his qualifying time, as he climbed to tenth overall and fifth in the 'Cup' class. Now starting from eight on the grid courtesy of his race one lap time, Michael moved up to fifth early in the race and held second in the Cup battle. At the flag the eighteen year old rookie had his first ever Cup podium and an excellent sixth place overall. Race three began with Owens sixth on the grid and another impressive ride saw him hold on to that position throughout the race as well as grabbing another Cup runner-up spot. A second appearance on the 'Cup' podium and a Young Racer of the Year nomination was the youngsters reward, to finish off his Masters Supersport debut. Michael Owens now completes the line-up for the Young Racer final where he will join Aaron Wright, Caolán Irwin, Jamie Lyons, Eoin Collins, Kevin Baker and Nathan McGauran. As part of his prize he will also receive a free entry, testing and garage space for his first 2019 Mondello Park appearance. The date for the final shoot out will be announced shortly.